There’s a reason why this long-standing race draws large crowds of runners each year- what’s cooler than running over the connector between Isle of Palms and Mt Pleasant? It’s a great chance to race surrounded by beautiful scenery and about 1,000 running friends. The Isle of Palms Connector Run offers a 5k run, 5k walk and a 10k run with one of the most scenic views in the South. All funds raised go directly to local organizations for the prevention of child abuse right here in Charleston. Come and support our cause; then enjoy the entertainment that follows including: live band and children’s fun. The 23rd Isle of Palms Connector Run on October 3, 2015 will be a challenging road race across the IOP Connector. 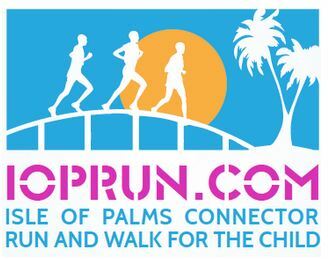 Starting at 8 AM on the Isle of Palms, crossing into Mount Pleasant and returning to IOP, 10K and 5K runners and walkers of all experience levels and ages will be rewarded with beautiful vistas of the Atlantic Ocean, Intracoastal Waterway, local creeks, marshes and waterfowl. The post-race festival for the whole family will feature a complimentary live band, beer garden, cash prizes, awards ceremony and vendor exhibits. Presented by the Exchange Clubs of Mount Pleasant and the Isle of Palms, The City of Isle of Palms and the Town of Mount Pleasant. Last year’s race hosted over 1400 runners and walkers. Net proceeds from sponsor donations and participant fees go to support prevention of child abuse in the Lowcountry.